I’ve been troweling some texture onto a large abstract painting. I add marble dust to gesso. The gesso pictured here is a very wet variety versus traditional gesso. 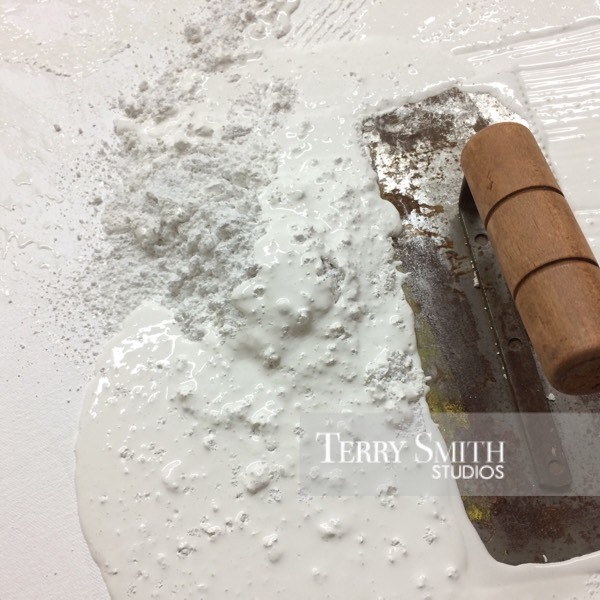 I work the marble dust into it until it’s creamy and smooth, trowel it into place on the canvas (above two layers of traditional gesso), wait for it to partially dry, and then make marks on top of it to sculpt it as desired. As it dries the relief smooths itself out somewhat. I’ll put an under-painting on top of this before starting the “actual painting”.